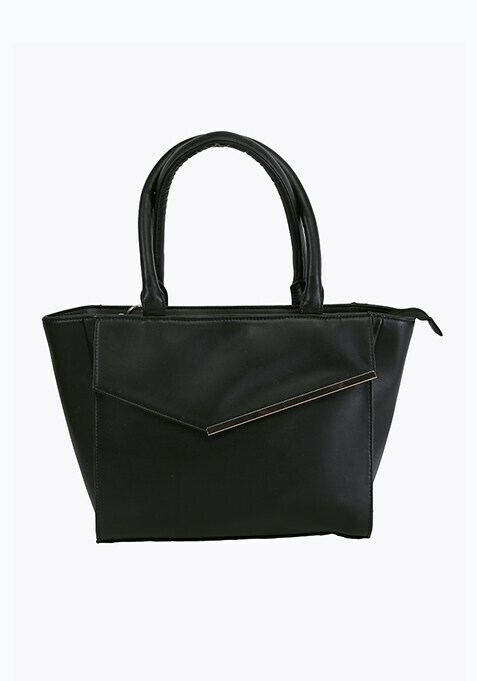 Get with the awesome new shape on the bags block - the trapeze, with this bril new black tote. Features a front flap closure with a gold-tone bar for that extra slick finish. Work It - Looks amazing with a pencil skirt and a printed shirt.